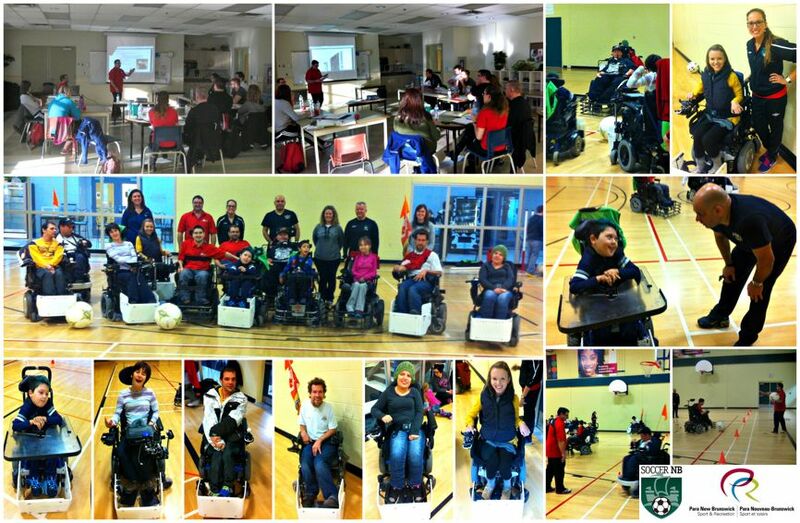 Why play Powerchair Football (soccer)? Sports improve quality of life. It provides meaningful exercise opportunities that can improve fitness and wheelchair mobility and enhance executive processing skills needed for everyday function. Powerchair Football (Powerchair soccer) is a competitive indoor team sport developed for participants of all ages with physical challenges such as quadriplegia, multiple sclerosis, muscular dystrophy, cerebral palsy, head trauma, stroke, spinal cord injury and more that requires the use of an electric wheelchair. In the early 1970, Powerchair Soccer grew all over the world. In 2005, six countries met in Paris to create an international organization and unify the rules for international competitions. The following year, the Fédération Internationale de Powerchair Football Association (FIPFA) was born to promote the sport worldwide. Two World Cups have been held in 2007 in Japan and in 2011 in France. The Official ball is spherical with a smooth surface of 13 inches diameter. The Foot guard must be made of unbreakable material and attached solidly to the frame of the powerchair. In general, it has 2 control bars with a shooting bar in the middle. It is positioned no lower than 5cm from the floor and no higher than 45cm. The Goal posts are 1.2 m. tall and are used in pair to mark the extremities of the goal area at the end of the pitch. The Powerchair is required to have a seatbelt and the maximum authorised speed is 10 km/h. Protection must be added to the powerchair in order to avoid rolling up on the ball as well as to keep wheels from getting caught up and/or trapping up the ball during play. Players:Two teams of four players, including the goalkeeper. 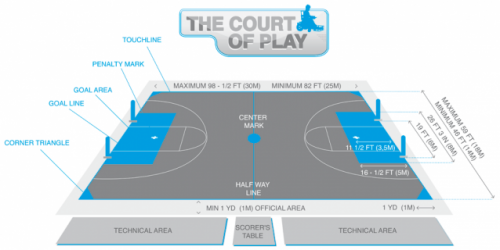 The court of play: A basket-ball court with specific floor marking. Time of play: Two 20 minutes half. Aim of the game: Score as many goals as you can.